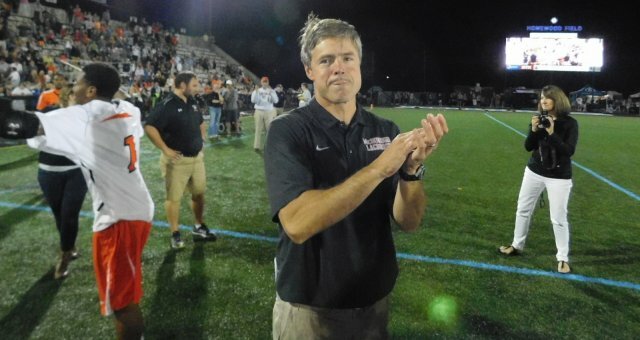 As he held the MIAA A Conference lacrosse championship plaque late Friday evening, McDonogh School coach Andy Hilgartner wasn’t thinking about finally having the thing that’s eluded him and the program for more than a decade. Hilgartner’s top-ranked squad brought a huge collective smile to Eagle Nation, winning the MIAA A crown with an 8-5 victory over No. 2 Boys’ Latin School in front of 4,825 at Johns Hopkins University’s Homewood Field. Senior attack Jason Sarro scored three goals for the Eagles (18-1 overall), and Jackson Morrill and Jack Parr each added a goal and two assists. Greg Ey finished with two goals for Boys’ Latin (14-4). McDonogh, ranked No. 3 in the nation by Inside Lacrosse, itched away from the Lakers in the second half to win its first MIAA A championship since 2005. The Eagles lost to St. Mary’s in the final at Homewood last year. Late Friday evening, McDonogh left the legendary stadium the last team standing in the nation’s toughest boys’ lacrosse league. “It’s unbelievable. This is stuff you dream of as a kid. This is the top of the top for us, ,” said Morrill. “This is the best league in the country. We feel like we’re the best team in the country. With an experienced returning nucleus, McDonogh was considered the favorite, although its had heartbreak in the postseason the last several seasons. This year, the Eagles had a steely resolve – going wire-to-wire in the MIAA A, including a 10-9 double OT decision over Boys’ Latin a couple of weeks ago at John W. McDonogh Stadium. McDonogh trailed 7-3 entering the fourth, and 9-7 in the latter stages of regulation. “It pushed us to the brink. It was a big game for us,” said Hilgartner. No comeback was needed in the highly antipicated rematch Friday. The Eagles never trailed, opening up a 7-3 advantage in the fourth. Sarro, one of 14 seniors, started the Eagles’ path to the crown. He scored twice inside of 40 seconds, turning a 4-3 halftime advantage into 6-3 midway through the third quarter. Sarro said the Eagles patiently waited out Boys’ Latin’s tight zone defense. McDonogh’s defense, arguably the nation’s best, kept BL stagnant for nearly two quarters. Senior goalie Sean Lanier stopped seven shots. Lanier, a first-year starter, credited his defensive front of seniors Arman Medghalchi and Mike Shinsky, juniors Zeke Narise and Brandon Shure and sophomore Chris Smith and BJ Farrare. McDonogh won its final 14 decisions, including three overtime decisions. Monday, the Eagles posted one of the most lopsided decisions in MIAA A semifinal history – a 20-6 victory over Loyola Blakefield. After receiving the championship plaque, McDonogh players ran over to the sidelines and gave it Senft, a junior, who was left paralyzed after a swimming accident in New Jersey two summers ago. The words “Archer Strong” are at the bottom of the Eagles’ uniform jerseys. 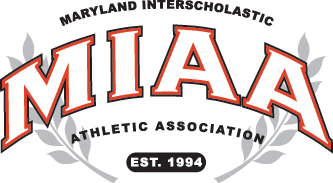 Goals: Boys’ Latin – Greg Ey 2, Matt Brandau, Logan Wisnauskas, Luke Shilling; McDonogh – Jason Sarro 3, Jackson Morrill, Jack Parr, Barrett Sutley, Rich Dion, Jack Simmons. Assists: McDonogh – Jack Parr 2, Morrill 2, Sutley; Boys’ Latin – Shilling, Wisnauskas, Brandau.